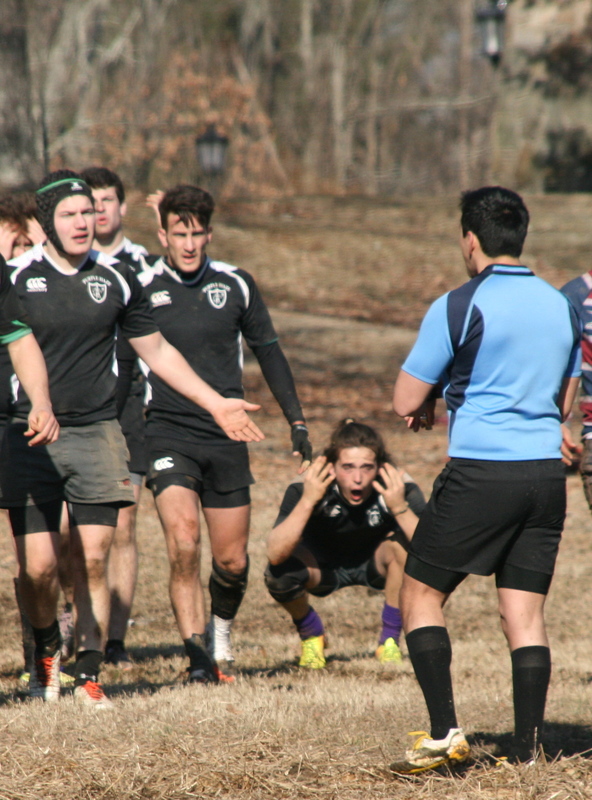 The Lee Rugby team was tough enough to step foot on Sewanee’s Rugby field behind Gorgas on January 15. They tried hard, but, as Purple Haze Captain Caleb Schaubroeck (C’14) said before the game “It’s going to be an interesting game against Lee, but we are going to win for sure!” The Purple Haze pulled out a victory of 17-13 against Lee, after a hard-fought match, rife with Referee interference. The normally fast-paced rugby game was this time dominated by constant interruptions by the referee, who clearly did not fulfill the task of his position, and at one time even forgot the score of the game, leading to a heated debate between himself and the two team captains in the middle of the field. Both teams were exasperated by these poor calls, and individual players paid the price, with Kyle Montes (C’15) receiving an unwarranted yellow card for a supposedly “high tackle,” resulting in him being ejected from the game temporarily and Sewanee playing down a man. Some good calls were made however, such as the one giving the Haze a penalty try (5 points), which sufficiently brought them back into the game after being down at the half. Sewanee was able to additionally rack up points after another try by Cedric Djikegoue (C’14), and a free kick by Jack Colligan, (C’15) leading to the win. The most inspiring part of the game was the turnout by Sewanee fans. All “societies” were present, as well as many other students cheering wildly “Down with the heathens, up with the church!” from the sidelines and sometimes even being so exuberant that they had to be pushed back by the referee. This support from the fans is always appreciated, and many players after the game commented on how seeing the rowdy Sewanee fans come show their support was what helped spur them to victory, despite the frustrating bad calls. The team seems confident that they will bring the Dixie Cup home again this year. Coach Daniel Carter refers to this rugby team as the best team he has ever had, “We have won the Dixie the last three years, but you can never be sure to win again. But I know the boys are going to work hard”. The Dixie tournament will begin on the weekend March 1 in Murfreesboro and every Sewanee Rugby fan should cone support the team to victory. Next Post: No snow days? Snow what? !